My colleagues had been working closely with an innovative local builder on the TSB funded Building Performance Evaluation project for over a year to answer key questions about his newly built sustainable homes; having satisfied Code Level 4 on paper, how does their real-life performance live up to their sustainable designs now they’re off the drawing board? “Great!” I thought, a chance to earn my first badge in this dynamic company of seasoned engineers, but what is a coheating test?! 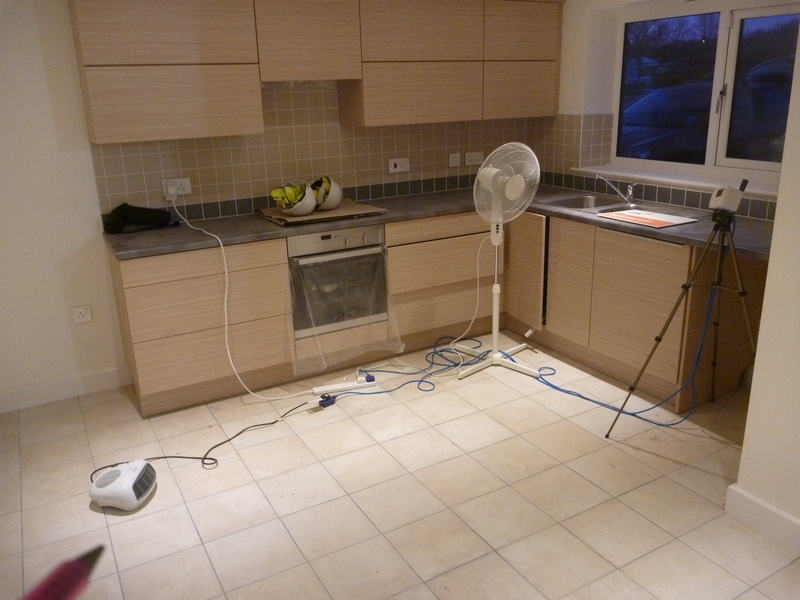 I soon realised this reaction was unsurprising – coheating tests are seemingly rare outside of Whitehall’s research initiatives since they are yet another cost on a build, and for what? The huge variation in ‘as built’ heat loss performance compared to design expectations as reported by Leeds Met University. Would car manufacturers be satisfied with MPG performance 120% above design? 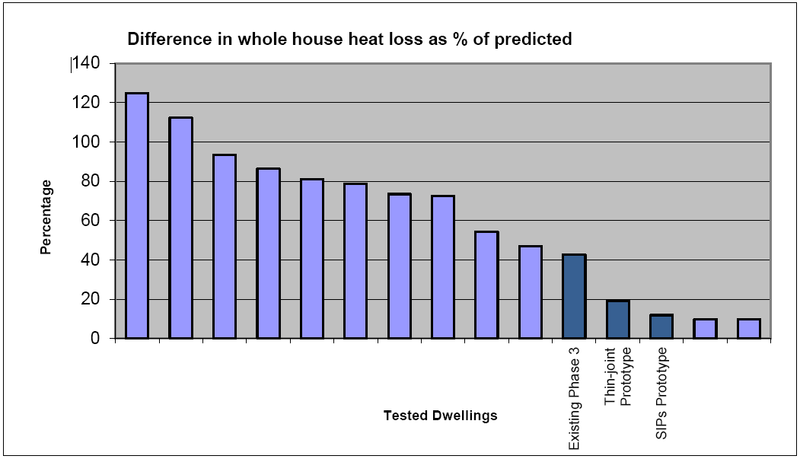 Coheating tests in simple terms tell us the heat loss coefficient of a building, and can, if well understood, be used to directly compare the real, ‘as built’ heat loss of homes to their intended design heat loss – hugely valuable to the conscientious builder. But as with any rigorous testing process, confidence in a result is achieved only with time and brainpower to gain a comprehensive understanding of the system in hand and in this case answering the more challenging question; exactly what is being measured? Three weeks of remote monitored whole house heating later we’d amassed a healthy set of minute-resolution test data ready for analysis, but now faced with a plethora of ‘mixed’ guidance published by other researchers on how to appropriately compensate for uncontrollable and at first sight, unwelcome variables (4kW of solar heat into 2 rooms when the whole house is losing 2kW…); we’d entered a minefield. With 2 coheating tests under our belt from the previous winter led by my colleague Hezlin, the team had already learnt valuable lessons on correcting for solar gain, understanding perplexing heat flux measurements and dissecting the SAP predictions, all helping to get the analysis underway. What useful physical parameters do the correction coefficients for solar gain and wind loss correspond to, and what influences their confidence values? How should the known air permeability results be factored in? For comparison against design heat-loss, does SAP consider thermal bridging adequately? Answering the many questions that arose during analysis amounted to weeks of effort to fully grasp the coheat test – no simple job, but we now have a sound foundation of understanding. Additional to the numerical result we could proudly present to our eagerly anticipating builder are the insights we’ve gained into building physics. We see the value in feeling our way through the highly sensitive analysis, paying close attention to what first appear as complicating factors, as it is the details that most fully characterise the house. So six months and some dedicated effort later and the final report has left the building – we think we’ve nailed it.